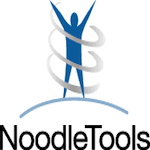 NoodleTools is a student research platform with MLA, APA and Chicago/Turabian bibliographies, notecards, outlining. All AES students and Faculty are pre-registered with NoodleTools. NoodleTools is an excellent tool for the collection and organization of information.